Mr. Reich graduated from the University of Houston Law Center. 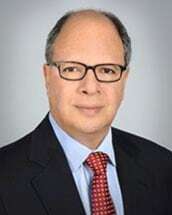 In 1984 he co-founded Reich& Binstock, LLP in Houston, Texas and has devoted his practice almost exclusively to Class Action andMass Action Litigation. BAR ADMISSIONS: 1975 State Bar of Texas; 1976 State Bar of California, 2008 New York State Bar; U.S District Court, Southern District of Texas; 1981 U.S. Court of Appeals, Fifth and Eleventh Circuits; 1982 U.S. District Court, Eastern District of Texas, 1993; U.S District Court, Arizona. Dennis Reich has been involved in leadership roles in major pharmaceutical litigation for over 20 years. He is currently honored to have been appointed to the Plaintiff Settlement Committee in the Louisiana-based multidistrict litigation for injuries from the chemotherapy drug Taxotere (In Re: Taxotere [Docetaxel] Products Liability Litigation, MDL Docket No. 2740, No. 16-md-2740, E.D. La.). Mr. Reich was appointed in 2014 by the Honorable Carl Highberger of The Superior Court of Los Angeles County to serve on the Plaintiffs' Steering Committee which provides the leadership and financial resources to prosecute cases involving a condition known as gynecomastia ( development of female breasts in boys and men) from the ingestion of Risperdal, an antipsychotic drug which was manufactured by Johnson and Johnson and its subsidiary Janssen Pharmaceutical. He served on the science committee in the Vioxx litigation . He was also co-lead counsel in litigation against the laxative Industry for questionable marketing practice that caused unnecessary consumption of laxatives for unapproved purposes. These cases settled for millions of dollars. Mr. Reich served on the Economic Loss and Damage Committee in the BP Oil Spill Litigation (MDL 2179) and represented numerous claimants encompassing property and business damage claims. Mr. Reich served on the Plaintiffs’ Steering Committee in MDL 1873, In Re: FEMA Trailer Formaldehyde Products Liability Litigation in the United States District Court, Eastern District of Louisiana (“FEMA Trailer”). During his service on the PSC in FEMA Trailer, he served as lead and co-lead counsel in two trials: Lyndon T. Wright v. Forest River, Inc., et al., Docket No. 09-2977 and Castanel, et. al. v Recreation by Design, LLC, et. al., Docket No. 09-3251. Much like BP, FEMA Trailer litigation has been large in scope including over 140,000 formaldehyde laden trailers that were issued to residents of the Gulf Coast states that had been impacted by Hurricane Katrina. Settlement Class has recently been approved at a final fairness hearing. CV98-P-1546 Natasha Claybrook et al. v. BRK Brands, Inc., f/k/a First Alert; Sunbeam Corporation a/k/a Sunbeam Products, Inc., In the United States District Court for the Northern District of Alabama, Western Division; co-lead counsel in a consumer class action settlement involving an education, and rebate program for users of residential smoke detectors. Case was successfully resolved. 347TH Judicial District Court of Nueces County, Texas. Reich & Binstock were co-lead counsel in class action suit against the stimulant laxative industry and distributors for failure to inform purchasers that the ingredients in their laxatives could cause dependency and habituation in young female purchasers. Case was successfully resolved. Master File No. 2:13-CV-20000-RDP In re: Blue Cross Blue Shield Antitrust Litigation (MDL No. 2406); In the United States District Court for the Northern District of Alabama, Southern Division. Appointed to serve as Chairman of the Damage Committee for the medical providers in the national antitrust litigation brought as a class action of hospitals and medical providers against Blue Cross and Blue Shield entities for monopolistic and monopsonistic practices. Timothy N. Kaiser, M.D. and Suzanne LeBel Corrigan, M.DS. v. CIGNA Corporation et al; In the Third Judicial Circuit Court of Madison County, Illinois; co-counsel in a certified national class action involving in excess of 750,000 health care providers consisting of physicians and hospitals who have sued their PPO insurer over bundling, downcoding, and exclusionary fee service. Civil Action No. CV 97-P-0595-W; Rodney Wesley et al v. Colonial Pipeline Company; In the United States District Court for the Northern District of Alabama. Multi state class action settlement requiring petroleum pipeline to accelerate and upgrade its compliance with federal regulation and enhanced maintenance practices. Case was successfully resolved. Fisher v. Ciba Specialty Chemicals Corp., 238 F.R.D. 273 (S.D.Ala.2006) Plaintiffs in this case were claiming property damage resulting from DDT emissions from the Ciba Special Chemicals facility in McIntosh, AL. DDT was produced at the plant from 1952 to 1965. Case was successfully resolved. 117th Judicial District Court of Nueces County, Texas. Amerada was a property damage case which was certified as a class action against 12 oil refining companies for damages arising out of the escape of pollutants benzene and hexavalent chrome into soil and groundwater for approximately 5,000 properties in the Corpus Christi ship channel. Case was successfully resolved. Hayden v. Atochem North America, Inc., Elf Aquitaine, Ind., Elf Atochem North America, Inc.; C.A. No. H-92-1054, U.S. District Court for the Southern District of Texas, Houston, Division. Mr. Reich acted as lead counsel in a class action which was certified as property damage and medical monitoring classes with actual implementation of a medical monitoring protocol for thousands of persons who were exposed to arsenic in their residential soil, air and groundwater. Case was successfully resolved. In Re: MTBE Product Liability Litigation, MDL 1358, U.S. District Court, Southern District of New York. Mr. Reich served as a member of the Plaintiffs’ Executive Committee from January 2001 to September 2002 in MDL 1358, during which many of Judge Scheindlin’s seminal opinions regarding standing and concurrent liability, including market share liability were written. His involvement focused on the behavior and transport of MTBE in groundwater plumes. Case was successfully resolved. Jack W. Ainsworth, et al. vs. Colonial Pipeline Company, Texaco, Inc., Texaco Pipeline, Inc., Texaco Chemical Pipeline Company and Lynchburg Shipyard; No. D-151227; In the 136th Judicial District Court of Jefferson County, Texas. A large storm caused four pipelines owned by Texaco, Inc., Valero Energy Corp and Colonial Pipeline to rupture releasing gasoline, fuel oil and oil, and natural gas which produced the largest gasoline spill in U.S. history. The floodwater caught fire creating a river on fire. Large quantities of gasoline, fuel oil, crude and natural gas were released that enveloped riverbank communities affecting 14,000 persons. Case was successfully resolved. New Jersey Natural Resource Damage Litigation – Three actions filed in Superior Court of New Jersey, Law Division – Essex County: a) NJDEP v. PSE&G, Docket No. CAM-L-3337-07; b) NJDEP v. Mallinckrodt Baker, Docket No. NRN-L-295-07; and c) NJDEP v. Occidental (Polyone), Docket No. BUR-L-1744-07. Mr. Reich has been designated as “Special Counsel” by the State of New Jersey in raising damage claims brought by the State of New Jersey for damages to natural resources owned by the State. Case was successfully resolved. IN RE SWANSON CREEK OIL SPILL LITIGATION, Master Case No. PJM-2000-1429, (Williams v. Potomac Elect. Power Co., PJM-2000-1429 [115 F.Supp.2d 561], U.S. District Court District of Maryland, Southern Division). Mr. Reich was counsel in an early OPA case involving the rupture of a pipeline that released over 100,000 gallons of fuel oil that entered the Patuxent River. Case was successfully resolved. Cause No. 96-41205-A; Porfirio Lopez, et al vs. Hoechst-Celanese Chemical Group, et al; In the 28" Judicial District, Nueces County, Texas. Reich & Binstock are lead counsel in this case involving the representation of a child born with multiple birth defects, including spina bifida, paralysis, blindness, mental retardation and seizures caused by her parents exposure to organic solvents while the father worked at a Celanese plaint in Bishop, Texas. Case was successfully resolved. Olachukwu Nnadili, et al. v. Chevron U.S.A., Inc., Civil Action No. 02-1620 (ESH); U.S. District Court for the District of Columbia. Nnadili, involved the longest BTEX and MTBE plume in the nation that impacted a residential neighborhood resulting from the release of gasoline from a leaking underground storage tank from a former Chevron station. Several hundred property owners sued for property damage and anxieties associated with living above a contaminated area. Case was successfully resolved. Elzina Avalos, et al. vs. Atlantic Richfield Company, et al., Civil Action No. H-89-3487; U.S. District Court for the Southern District of Texas, Houston Division. This case involved two Superfund sites that emitted hazardous chemicals as a result of dumping activities by major petrochemical companies between 1961 and 1972. Plaintiffs' causes of action were based upon negligence, gross negligence, nuisance, trespass and CERCLA. Case was successfully resolved. CIV 91-2067 PHX WPC; Maurice L. McIntire, et al v. Motorola, Inc.; In the United States District Court for the District of Arizona. McIntire involved approximately 1,000 persons who instituted litigation against Motorola in connection with the facilities, which had been, designated as either state of federal super-fund sites resulting in groundwater contamination and personal injury claims. (Hon. Paul Rosenblatt). Case was successfully resolved. CV-96D-940-N; James Peters; et al. v. Amoco Oil Company; et al. ; In the United States District Court for the Middle District of Alabama Northern Division; Mr. Reich served as co-counsel in this nationwide Class Action lawsuit for compensatory and punitive damages brought on behalf of property owners whose properties have been damaged as a result of petroleum products leaking from Defendants' underground storage tanks (UST) systems at service station sites located in the United States. Many cases that comprised this litigation settled. CV 95-1786 KN, CV 96-4588 KN (Consolidated); Babich v. Montrose Chemical Corp.; In the United States District Court Central District of California; Reich & Binstock are co- counsel involving contamination of property and exposure of residents to organic solvents and halogenated compounds from a series of generators in the neighborhood in Torrance, Calif. Case was successfully resolved. CV 87-AR-1492-NW; Gean v. Cling Surface Co., 971 F.2d 642 (11th Cir.1992) In the United States District Court, ND Alabama Northwestern Division; Mr. Reich worked as lead counsel in this product liability suit in Honorable Judge Acker’s court involving product liability claims against the manufacturer of bar belt dressing and pulley configuration. Jury returned a multimillion dollar verdict in favor of plaintiff which was affirmed by the 11th circuit. "After the Dust Settles: Clearing the Air in the Debate over the Carcinogenicity of Diesel Exhaust to Humans." "Problems and Pitfalls in Initiating an Environmental Cause of Action." Lyndon T. Wright v. Forest River, Inc., et al. Castanel, et. al. v Recreation by Design, LLC, et. al. CV98-P-1546 Natasha Claybrook et al. v. BRK Brands, Inc.
Lydia S. Peres, et al vs. Schering-Plough Corp. et al. Timothy N. Kaiser, M.D. and Suzanne LeBel Corrigan, M.DS. v. CIGNA Corporation et al. Simms, Jr., et al. v. Amerada Hess Corporation, et al. Hayden v. Atochem North America, Inc., Elf Aquitaine, Ind., Elf Atochem North America, Inc.
David Mack Albright v Aeroquip Corp., et al. Porfirio Lopez, et al vs. Hoechst-Celanese Chemical Group, et al. Olachukwu Nnadili, et al. v. Chevron U.S.A., Inc.
Elzina Avalos, et al. vs. Atlantic Richfield Company, et al. Maurice L. McIntire, et al v. Motorola, Inc.
James Peters; et al. v. Amoco Oil Company; et al. Babich v. Montrose Chemical Corp.